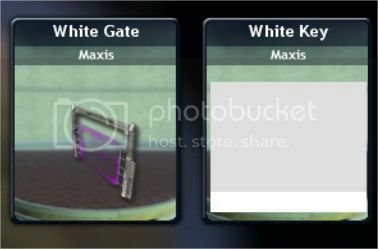 In the adventure they have the same color s the White Gate, but only opens with his key. I can't because it's an effect. But you can camuflate the door. Those would be quite usefull. As for the effect, you could always try sticking both the blue and red effects to get a purple particle. Also I tried to add new bombs, but they don't explode. for the bombs, have you tried to just parent the original bomb, then just change the name and model? No, I dind't tried it. I just copied the files and changed the time to explode. Emd4600 [ASR] wrote: No, I dind't tried it. I just copied the files and changed the time to explode. You Always have to parant the file as a bomb (also all the new objects in our mod are invisible if you come close to it, and that's because I used the wrong parant file so in the new version some objects like the colonies will no more invisible if you come close to it). He will show you, or I hope so. Yes but it has a bug. Sometimes it seems good but sometimes, when you touch it alterns with the red and blue effect. I make a orange gate and happens the same. You are awesome Emd. For the orange gates and purple gates, which key colors did you use? Also, if you or anyone can find a way to change the maxis name on the parts, that would be useful for compiling a list and searching parts. The version of adventureprops I have has fixed icons, spelling fixes, (drough to drought) , a changed name on an alien particle, a giant footprint, runestone, burnt hut, burn mark, and a whole load of other stuff (mostly fixed icons), so I'll be releasing that one soon if I remember, since I just got back into modding spore again after a long portal 2 streak. I've been mostly lurking on the forums lately, but I'm still here. I used the base blue key model and I put on modelMeshLOD1 the red key model. SporeMaster can only rename with the original Maxis name. The names I have renamed there are on the files, like ep1_gmp_keycardblue. Go to Names tab, and in the left, put the name. If appears "Used by Spore", it's the correct name, so click "Save name"